1Electrical and Electronics Engineering Department, Osun State University, Osogbo, Nigeria. 2Electrical and Electronics Engineering Department, Osun State College of Technology, Esa-Oke, Nigeria. *To whom correspondence should be addressed. E-mail: ooladepo@yahoo.com. Received 02 February, 2018; Received in revised form 15 March, 2018; Accepted 20 March, 2018. Automated teller machine, Biometric, Database, Hand geometry, Verification, Signature. The current rate of crime, fraud, terrorism and vandalism across the globe pose great threat to economic development and sustainability. Much as security and confidentiality of persons have been areas of worry, authentication and verification of individuals have become more of concern nowadays. A robust authentication and verification system requires every citizen to have a biometric identity card linked to a national database server; suggested to be a harvest of various databases of government departments, agencies, financial institutions and law enforcement bodies. The integrity of the system depends more on the database and the employed biometrics technology. 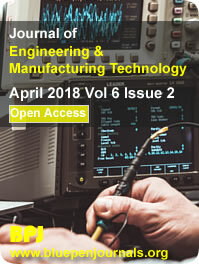 Biometrics robustness could be improved through hybridization of verification techniques. This paper proposed a framework for user’s identification and authentication using hybridization of personal identification number (PIN), fingerprint, iris and magnetic stripe card. The robustness of the hybrid system is demonstrated in automated teller machine (ATM) in comparison with the conventional PIN authentication method. Although, denial of proxy withdrawal could be stated as demerit of this hybrid biometrics system, the security level is worthwhile. A single integrated multi-application card could be achieved by using chip-based general multipurpose card (GMPC) technology, which allows for input of several applications on one card. The system could be used by governments to boost security system, financial budgeting, as well as health care services planning and management.